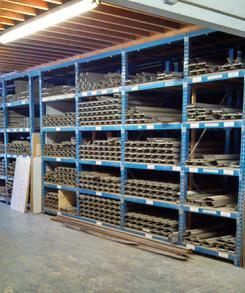 We stock a large variety of hollow metal frames and doors, wood doors and architectural hardware. If we don't have it in stock, we can special order it. Quick ship options are available. We can also provide value engineered solutions for projects. We also stock washroom accessories. Toilet partitions are available as a special order. We stock Steelcraft frames, doors and accessories. Our large inventory of frames and doors ranges from 2068 to 4070. We also stock pre-welded masonry frames in 3068 & 3070 for rapid turn around times. Frames & Doors can be modified in our shop. Check out our Commercial Door Shop Page to learn more about the metal services we can provide.